In the early twentieth century, a series of small, inexpensive pamphlets known as the Instructor Literature Series provided readings aimed at students in grades one through eight. 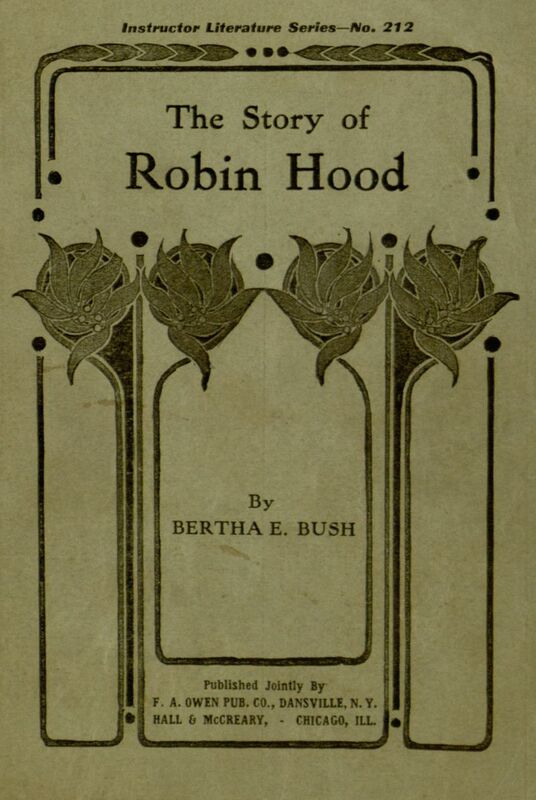 Our latest completed Distributed Proofreaders project is one of these publications, a collection of Robin Hood stories aimed at fifth graders. 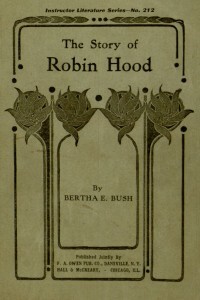 The slim volume, whose title is either The Story of Robin Hood or Stories of Robin Hood depending on which page you believe, contains six tales and one long poem covering Robin Hood legends ranging from the very familiar to the slightly more obscure. This is rounded out with a catalog showing the considerable breadth of the Instructor Literature Series. You can read the book online in its entirety at Project Gutenberg, where it can also be downloaded in a variety of popular electronic formats.